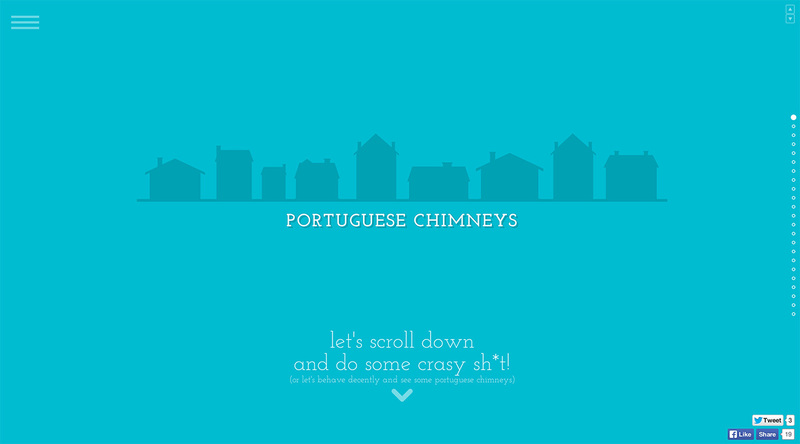 Long One Pager paying tribute to the interesting architectural design of Portuguese chimneys – that of course features tons of neatly illustrated examples. Nice little inspirational message at the end with a link to the designer, Pedro Gaspar’s portfolio. Portuguese Chimneys is a project that is part an obsession with architecture and part a self-challenge to never stop looking up. I will update the illustrations, periodically, so please don't forget to visit me now and then, and share this project. And you shouldn't never forget to look up, you might see Santa stuck in a chimney.